They’re Multiplying ! ! ! 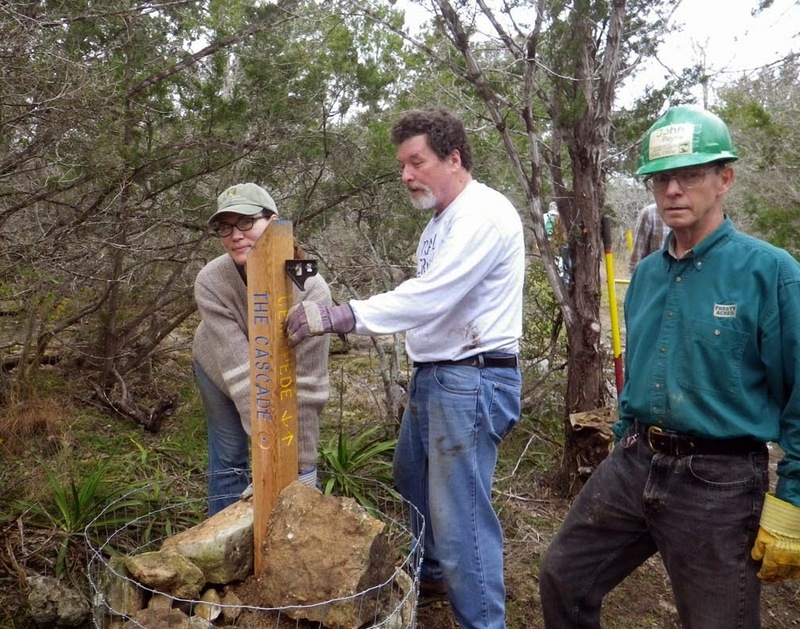 The posts found planted as sentinels along the trails assist hikers, bikers and other trail users with knowing which trail they are on. Some provide the distance to the trailhead, points of interest and others mark the intersection of two or more trails. It’s fun to get out into nature and just lose one’s self until there’s an issue. How do you communicate with 9-1-1 where you are? Knowing the natural area name, the trail and distance from where you entered the park are all key to getting assistance to you quickly. 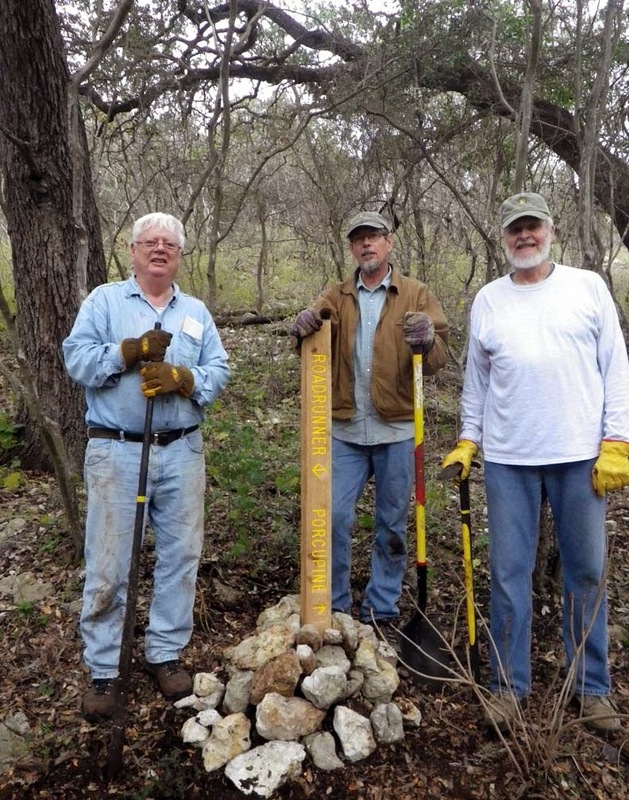 The Thursday morning trail crew of the San Marcos Greenbelt Alliance spent a good portion of the last year laying out new trails in the west end of the Spring Lake natural area. 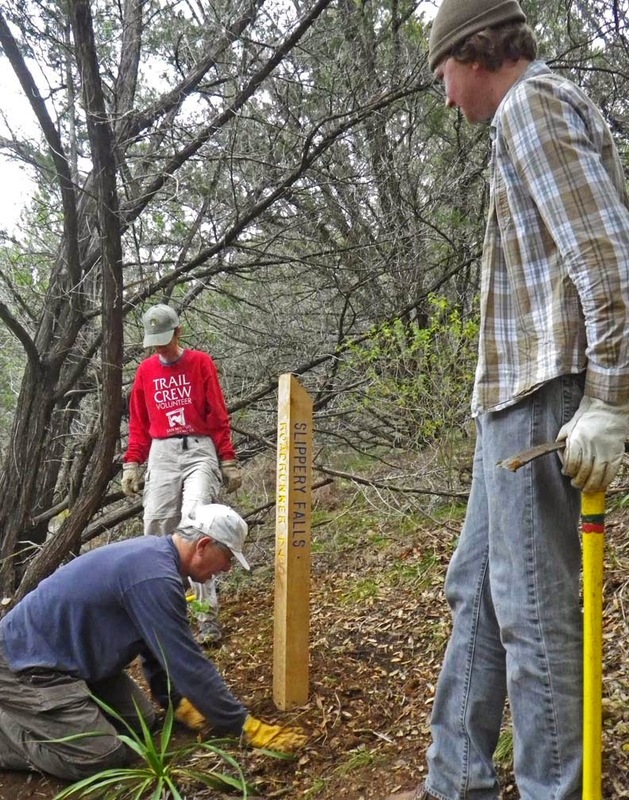 The mileage is yet to be calculated and mapped but the crew has already posted the names of the new trails and placed the trail markers in the ground. Volunteer Rebecca Pugh used the router and then hand painted the names into the posts for an impressive and highly visible lettering effect. Mountain bikers are especially pleased with the contour of the trails and the challenging workout the new trails; Centipede, Porcupine and Roadrunner provide. Many of the new trails are in Golden Cheek warbler habitat and will be closed during mating season from March through May. Since the funding came to protect this habitat it is expected that the trail closure will be respected. The new trails feature two lookout view sheds and solid bedrock water falls (when running), hence the names Slippery Falls and Cascade. 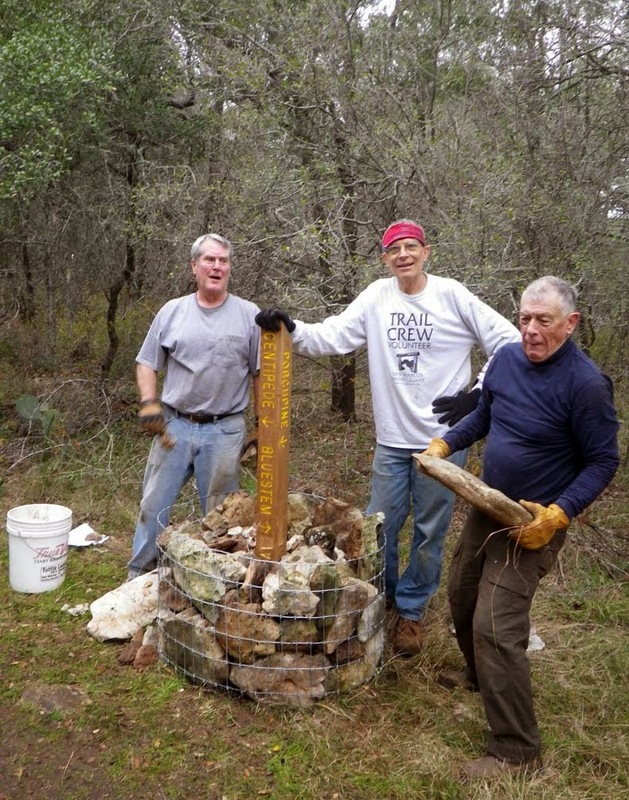 Access points include Lime Kiln road trailhead, Meadows Center parking (fee charged M-F, free on weekends) and soon-to-be started N. LBJ trail head at Hillside Ranch II apartments. This trail will be ADA (Americans with Disabilities) and is being contracted.